Epic. It's a word that gets bandied about a lot these days: “dude, that sushi was epic” or “dude, that Strava segment is epic.” But what, really, is epic? 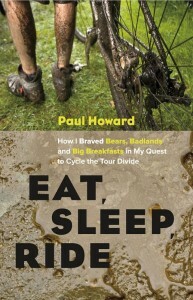 In his 2011 book Eat, Sleep, Ride, Paul Howard recounts a journey that surely qualifies as epic: the nearly 2,800 mile Tour Divide, a race from Banff, Alberta to Antelope Wells, New Mexico across North America's rugged spine, the Continental Divide. 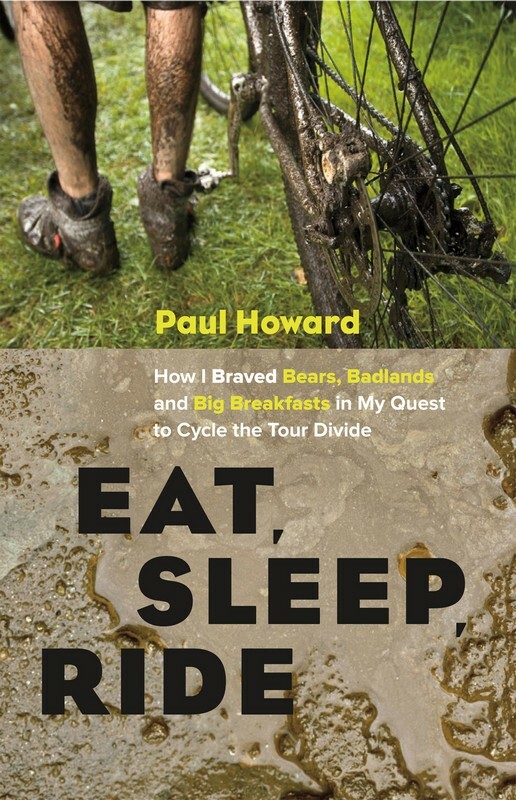 The book, aptly subtitled How I Braved Bears, Badlands and Big Breakfasts in My Quest to Cycle the Tour Divide, offers a cyclist's eye view of 27 days spent pedaling–and sometimes pushing–from Canada to Mexico, climbing the equivalent of seven Mount Everests in the process. In this case, the eye is attached to a keenly observant and wryly witty Brit, making for breezy reading, in contrast to the constant challenges the writer and his fellow racers face. Two things are particularly prominent in Howard's narrative of cyclebound triumph and tribulation: the food and the camaraderie. First, food: did you know those salted nut rolls offer one of the best calorie-to-ounce ratios for those looking to gobble up maximum sugary energy? Did you know there is a town in New Mexico called Pie Town that offers an apple pie with chili pepper and piñon nuts? And did you know the British ask for their to-go food as “takeaway” and mean fries when they ask for “chips” with a burger, both of which can cause considerable translation difficulty for rural diner employees? But beyond its focus the pleasures of stuffing down tens of thousands of greasy calories to feed the raging furnace of a body pushed to its limits, the book resonates with a deep, if slightly detached, appreciation of the people with whom Howard undertakes this odyssey. After pedaling solo through miles upon miles of dense forest in Montana, which Howard begins to see as a “green prison,” he eventually finds the succor of companionship among the rolling cast of characters racing the 2009 version of Tour Divide. This loose-knit band of racers continues on, with some changes in membership due to the inevitable injuries and race abandons, all the way to the race's southern terminus. While Howard's “stranger in a strange land of Wal-Marts and obese people” shtick gets a bit tired toward the end, this is a genuinely readable account on the whole. The author paints a vivid, memorable and inspirational picture of this truly epic undertaking, lacing the narrative with humor and keen observation to keep us rolling at a solid pace.